Call A1 Overseas International at 1-800-450-5319 or fill out the form for a FREE quote and information on auto transport to Mauritius! Experienced international auto transport specialists are the only ones who should be trusted to handle an international vehicle shipping process. With all of the regulations held by Mauritius or any other country for that matter, it is always wise to hire those that understand foreign import and export policies. Professional overseas auto shipping companies offer an array of different services and shipping processes. Do some research and decide what you feel is best for your shipping needs. Then, contact the transport company with the greatest reputation and services you seek for a quote. Transport companies preferred to be called at least a couple months prior to when the international shipping process is to be scheduled. This gives everyone involved plenty of time to comply with the Mauritius auto import policy and prepare the vehicle for its journey. Contact the Embassy of Mauritius as soon as you can to learn the current auto import policy in place. 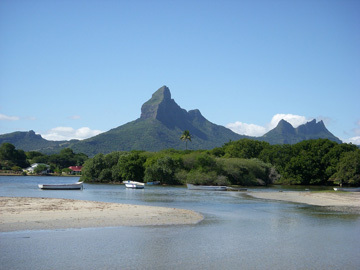 While the import policy for automobiles is subject to change at any time, there are some guidelines for vehicles being imported that tend to stay the same for the country of Mauritius. The shipper must have the original bill of lading and bill of sale. The vehicle cannot be younger than 18 months or older than 48 months. You must have the Cancellation of Registration Certificate. All duties must be paid in full. Contact us at 1-800-450-5319 or fill out our form for a FREE quote and more info on boat, motorcycle and car shipping!